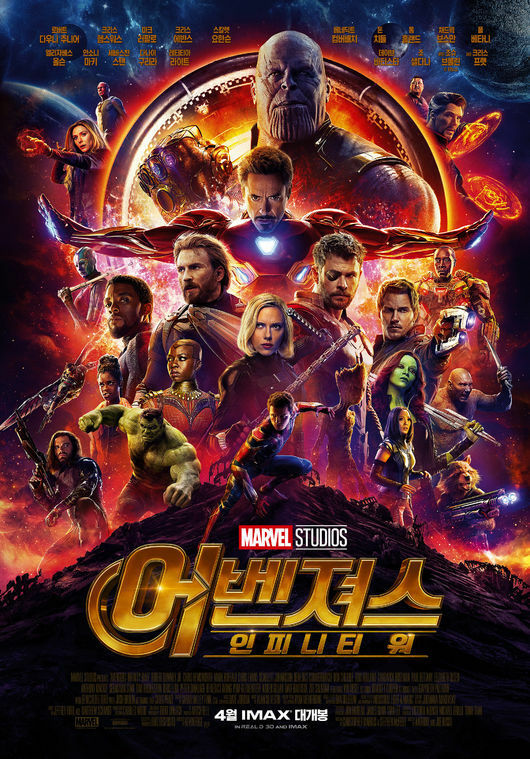 A Korean translator for “Avengers: Infinity War,” a Marvel superhero flick that has been conquering the Korean box office, has come under fire for the movie’s alleged mistranslations. The controversy surrounding Park Ji-hoon, who is well known for having translated other Marvel series such as “Captain America: The Winter Solider,” “Ant-Man” and “Avengers: Age of Wultron,” escalated Wednesday as netizens flooded social media with complaints claiming that the movie’s Korean subtitle featured several major mistranslations that could almost lead to a complete distortion of the scenes. The enraged netizens also pointed out that many of the movies translated by Park, including “007: Sky Fall” and “Batman V Superman: Dawn of Justice,” had mistranslations as well. On Thursday, more than 2,300 citizens signed a petition on the Cheong Wa Dae website to call for Park to be withdrawn from movie translation. “Avengers: Infinity War” hit local theaters on Wednesday, selling 976,835 tickets, which is slightly more than 94 percent of all tickets sold.